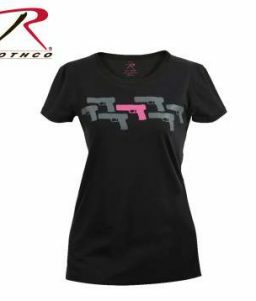 The Rothco Bombshell Long Length T-Shirt for women is a fun way to show support for the armed forces. 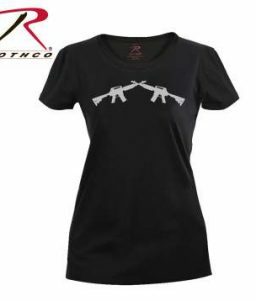 It is part of Rothco’s women military t-shirt collection. 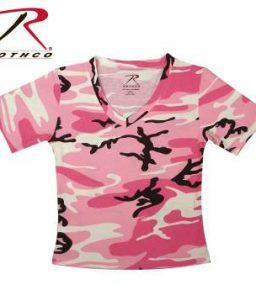 SKU: RO-5680 Categories: Women's Clothing, Women's Tanks and T-Shirts, Graphic T-Shirts Tags: "bombshell" t-shirt, bomb shirt, bombs t-shirt, graphic shirts, graphic t-shirt, graphic t-shirts, graphic t-shirts for women, graphic tees, graphic tees for women, military t-shirt collection for women, short sleeve shirts, short sleeve t-shirt, t-shirts, t-shirts for women, women's military t-shirt Brands: Rothco. 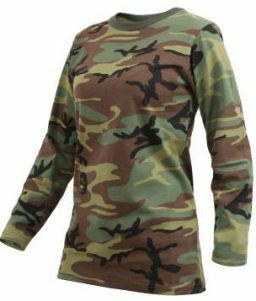 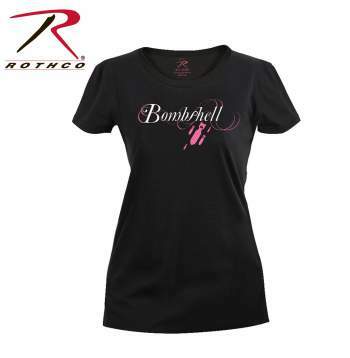 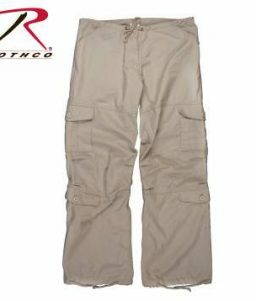 The Rothco Bombshell Long Length T-Shirt for Women is part of Rothco’s military shirt collection. 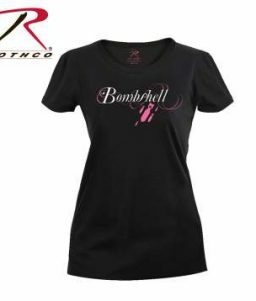 Made with a 60% cotton/40% polyester blend, it is a soft and comfortable t-shirt featuring the text “Bombshell” with corresponding imagery of 5 bombs dropping.